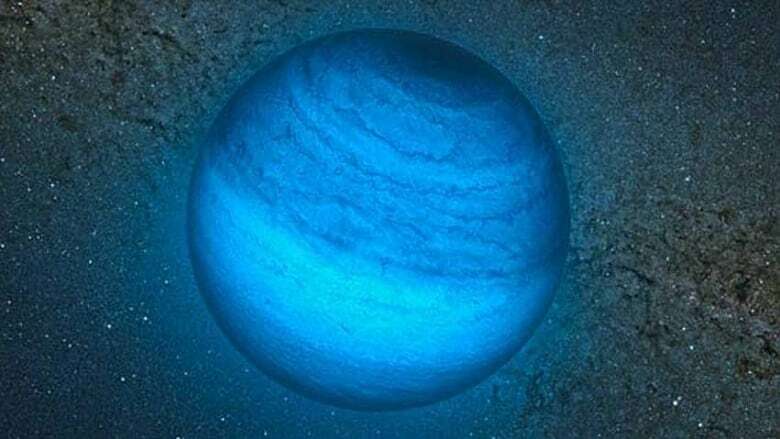 A rogue planet wandering through the cosmos apparently without a star to orbit has been identified by an international team using the Canada-France-Hawaii Telescope on Hawaii's Mauna Kea and the Very Large Telescope (VLT) in Chile. It's the first time astronomers have been able to look closely at planets of its kind without getting interference from intense nearby light. CBC Radio's Quirks & Quarks will interview co-author Jonathan Gagné Saturday, Nov. 17. "If this little object is a planet that has been ejected from its native system, it conjures up the striking image of orphaned worlds, drifting in the emptiness of space." Possible examples of free-floating planets have been found and identified, but it hasn't been possible to determine much about them. In this case, however, the object — dubbed CFBDSIR2149 — seems to be part of a nearby stream of young stars known as the AB Doradus Moving Group. "Looking for planets around their stars is akin to studying a firefly sitting one centimetre away from a distant, powerful car headlight," said Delorme. "This nearby free-floating object offered the opportunity to study the firefly in detail without the dazzling lights of the car messing everything up." Researchers found it in observations from the Canada-France-Hawaii Telescope and harnessed the power of European Southern Observatory's Very Large Telescope to examine it more closely. Because it's in motion with other planets, astronomers have been able to make inferences about its age and properties. The Canadians on the project included study co-authors Etienne Artigau and Jonathan Gagné of the University of Montreal. "We observed hundreds of millions of stars and planets, but we only found one homeless planet in our neighbourhood," Artigau told the BBC. The Canada-France-Hawaii Telescope is operated by the National Research Council of Canada, the Institut National des Science de l'Univers of the Centre National de la Recherche Scientifique (CNRS) of France, and the University of Hawaii.